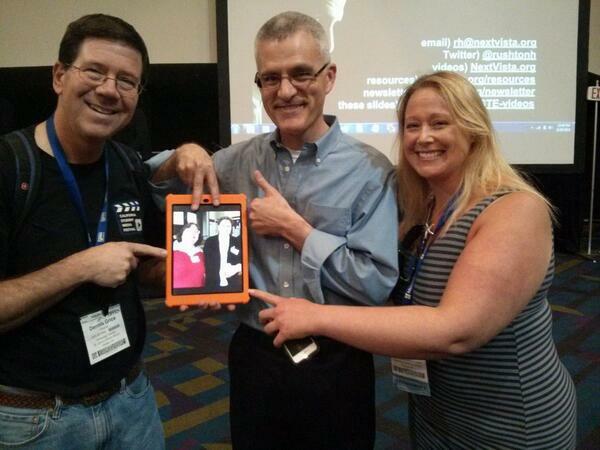 «ISTE 2014: Friday & Saturday of #notatiste14 »What Does 40K + Get You? WOW!!! I just learned a TON from this!!! I can’t wait to dive into some of your tips and strategies you learned! It sounds like it was such a fun experience that you made the most of! I was not able to get as involved in #NotAtISTE14 as I would have liked. I just loved this post! Thoughtful and insightful and full of great lessons, resources and your passion to learn and connect!! Nice compilation of ‘take aways’! I hadn’t really thought about the quality of tweets during a conference – I think sometimes I tweet at conferences as my way of ‘note taking’ and not really thinking about the ‘share’ factor. I, too, will increase the other view for future. Your monitoring and involvement in #NotAtISTE14 was also commendable. Thanks for keeping us connected in the Google+ community. This is a great reflection! I need to be more like Craig, too. He should have his own hashtag, #belikecraig.